With the eyes of the world on Japan for this week's G7 meeting in Ise-Shima, the government will be hoping to show off the best of our country. The town of Ise-Shima itself is home to the one of the most revered Shinto shrines in Japan and a proud part of our history. But the government is also about promoting the nation's cutting-edge art, technology and culture abroad. At the heart of this is - Cool Japan - a PR campaign run by the Japanese Ministry of Economy, Trade and Industry. But it seems like coal is the new cool, because it's a little known fact that unlike its G7 partners, Japan is in the process of building 49 new coal-fired power stations - whilst also being by far and away the largest financial backer of coal infrastructure in the region. While the US, the UK, France and other countries have placed restrictions on their financing of coal projects abroad, and are actively shutting down existing plants, Japan remains the world's number one supporter of overseas coal. That's why this week we're taking part in the launch of the brand-jamming Coal Japan, which aims to let the world know what's quietly going on in the land of the rising sun. Because let's face it, there's not much cool about coal. 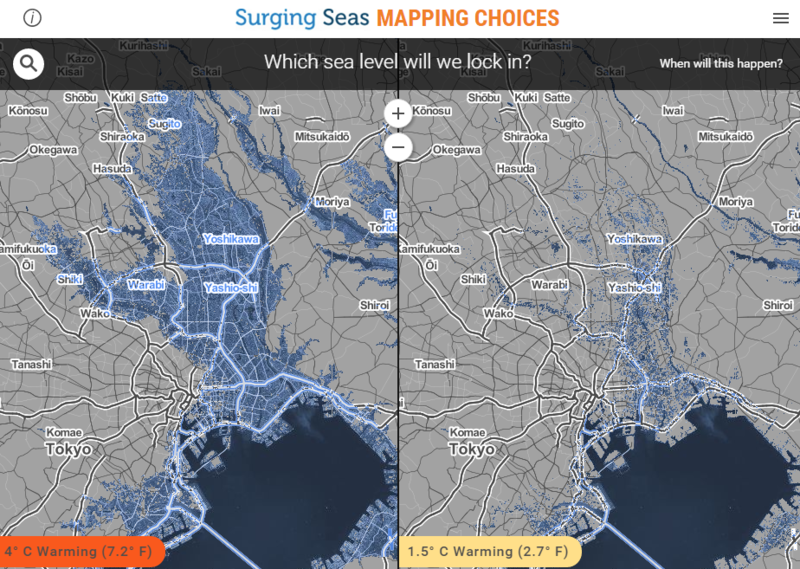 Ironically, Japan will be one of the world's most affected countries by sea-level rise, with 7.5 million people - 30 percent of Tokyo's population - affected by the sea level rise under a 4 degrees Celsius scenario in the capital alone. 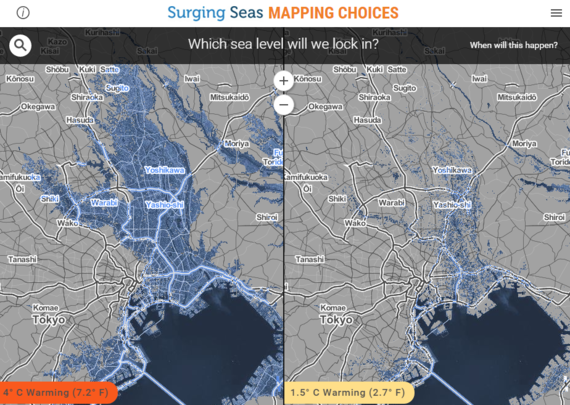 A rise by 2 degrees Celsius would leave 4.2 million people's homes underwater. So what's with Coal Japan? The answer lies in the flow of both public and private finance from Japan's banks and institutional investors to major power corporations such as TEPCO, whose interests are to restrict new renewable energy power generation that will disrupt their business model. A survey commissioned by 350.org Japan revealed that the investments in, and loans to corporations related to fossil fuels, new domestic coal-fired thermal power facilities and nuclear power-related companies by Japan's mega-banking groups - including Tokyo Mitsubishi UFJ, Mizuho, Mitsui Sumitomo and Mitsui Sumitomo Trust - amounted to approximately 5.389 trillion Japanese Yen in 2014. 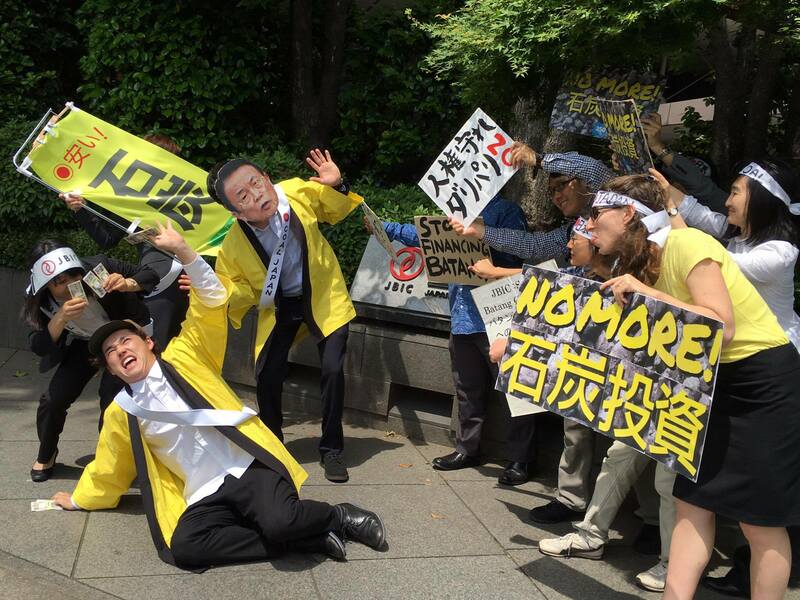 This survey also found that Japan's major life insurance companies have investments and loans totalling 4.330 trillion Japanese Yen in companies connected to fossil fuels and nuclear power. All the big names are there and they're not keen on renewable energy shaking the apple cart. So as the G7 comes around we're at a major cross-roads. 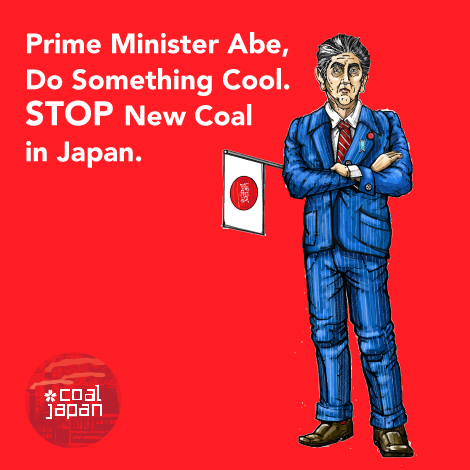 Are we going to be seen by the world as Cool Japan, or Coal Japan? Which is why we're asking individuals, Japan's banks, insurance companies, pension funds and all public organizations that they divest from corporations linked to fossil fuels and nuclear power, and transition these investments towards the development of renewable energy - through the #DivestJapan campaign.